These activists are doing great work in Arizona. Arizona Gregory From Facebook, and others. 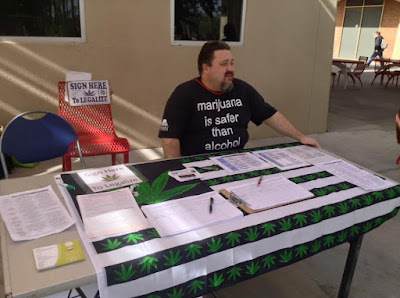 They were collecting signatures on petitions in an effort to legalize marijuana. Safer Shirts are a great complement to any signature gathering effort. I love seeing these guys doing stuff like this! 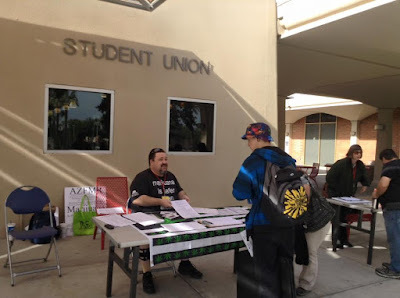 Thank you to the community college and the activists for setting this up! 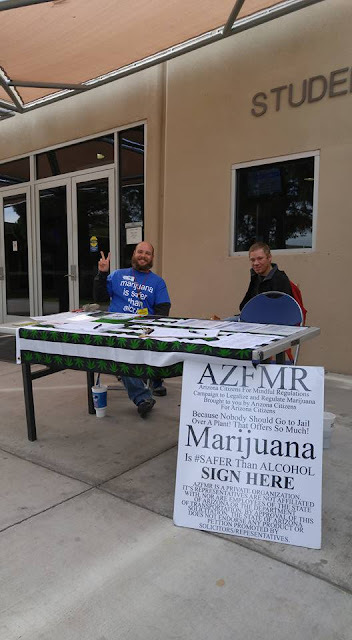 This is a great way to get signatures and recruit signature gatherers for marijuana legalization in Arizona!